Copyright © 2019 Guglielmo Poletti. All rights reserved. I am very honoured and pleased to announce that I have been nominated by Elle Decor Italia as 'Young Talent of the Year' for the 2019 edition of the EDIDA – ELLE DECO INTERNATIONAL DESIGN AWARDS. 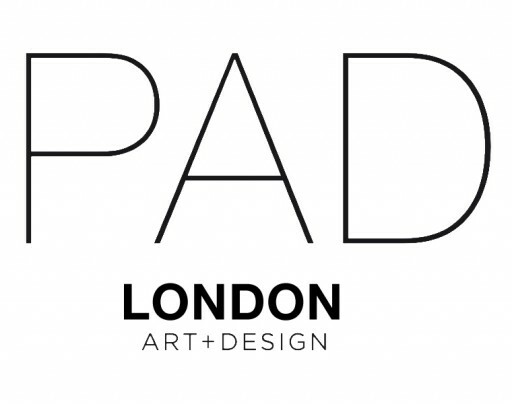 My work will be on show at the PAD London fair the coming week with Galleria Rossana Orlandi. For the occasion, I will present my latest pieces from the 'Equilibrium' collection – comprising a chair, a dining table and a suspension light. The series explores various possibilities in construction through the use of tension in relation to aluminium, a material characterised by very specific structural qualities. My tile collection ‘Segments’ – designed for the Italian ceramic company Decoratori Bassanesi – has been awarded with the 'ADI Ceramics & Bathroom Design Award', winning the prize in the ceramics category. Now at its 5th edition, the annual award is issued by ADI – Associazione per il Disegno Industriale in collaboration with Confindustria Ceramica and Cersaie design fair, with the aim of highlighting the most innovative products among Italian ceramics and bathroom furnishings sector. The nominated products represent a pre-selection for the ADI Design Index 2019. My new work 'Segments' – a collection of tiles resulting from my first industrial collaboration with the Italian ceramic company Decoratori Bassanesi, will be launched at Cersaie design fair in Bologna next week. Comprised of 3 different products, this series investigates the limits of gres porcelain by walking on the thin boundary that defines its fragility, challenging the technical constraints related to industrial production. I will be part of 'Legacy', the latest exhibition curated by Alice Stori Liechtenstein, which will take place in the wonderful Austrian castle of Schloss Hollenegg. As a result of my own legacy, I will present a new commissioned work – 'Helix 1622' wall light. The piece originates from my interest for simplicity and reduction, which led to a construction built through the simple gesture of a torsion, where a loose steel cable becomes structural by being twisted. My latest work will be on show at Spazio Rossana Orlandi during the coming Milan Design Week 2018. For the occasion, I will present three new pieces from my 'Equilibrium' collection – a chair, a dining table and a suspension light. 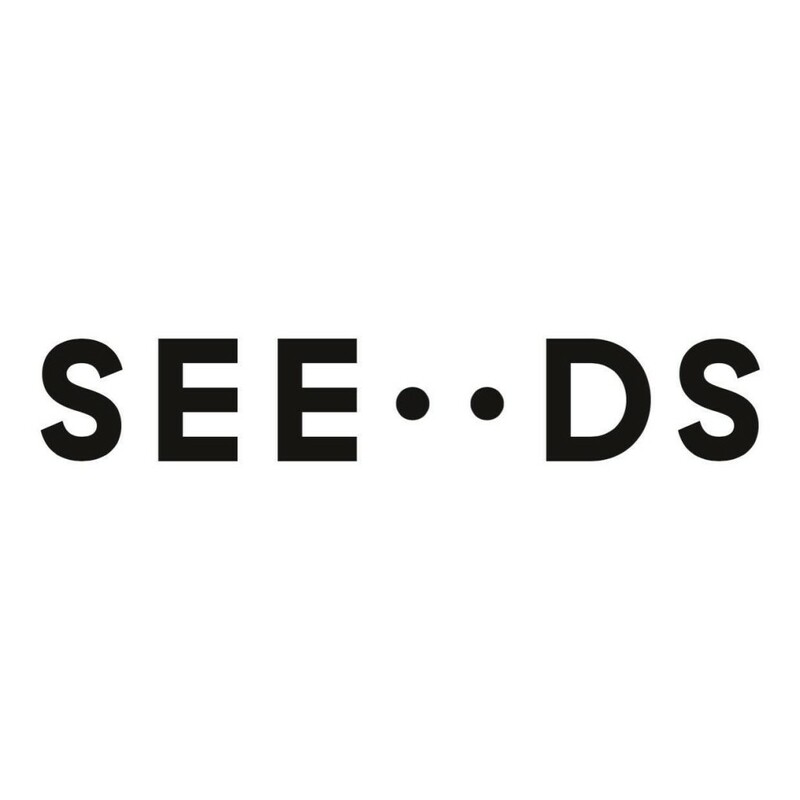 In addition to this, my benches 'Sections' will be exhibited at the 5VIE ART+DESIGN district with SEEDS London gallery. The pieces will be part of the group show 'TEST TUBE' – also featuring works by BCXSY, Jochen Holz, Martino Gamper, Pietro Russo, Tiago Almeida. I will participate to the coming edition of ARCOmadrid – International Contemporary Art Fair. 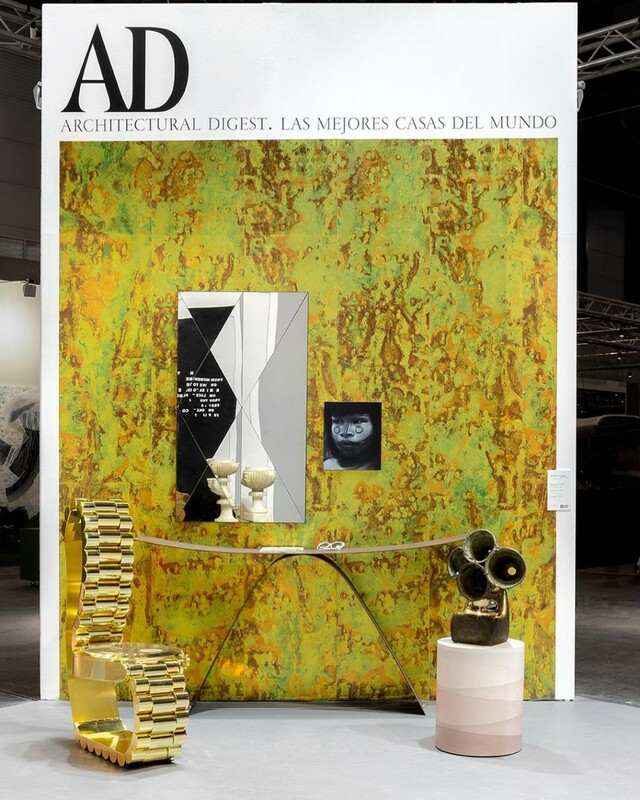 For the occasion, my work 'Equilibrium Console' will be on show as part of an installation curated by Rossana Orlandi – especially conceived for the design magazine AD Architectural Digest Spain. 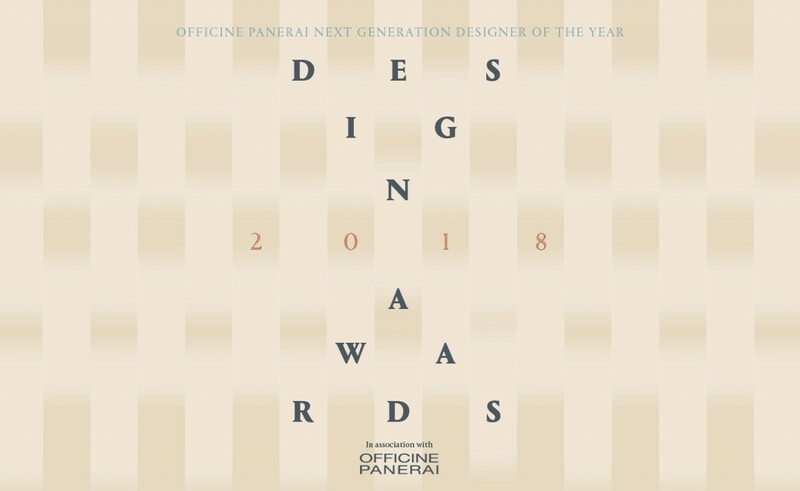 I have been shortlisted for the 'Officine Panerai Next Generation Designer of the Year' – part of the Wallpaper* Design Awards 2018. For the second year, Wallpaper* magazine and luxury watchmaker Officine Panerai have collaborated to create the Officine Panerai Next Generation Designer Award. Part of the 2018 Wallpaper* Design Awards, it is designed to champion the work of a young and prodigiously talented individual who has significantly contributed to the field of design during the past 12 months and looks set to create a lasting impact in years to come. The winner will be revealed by Wallpaper* Brand and Content Director Tony Chambers and Officine Panerai next moth. I have been selected among the six young designers winners of the next 'Rising Talent Awards' – taking place in Paris during the coming edition of MAISON&OBJET. I would like to extend a special thanks to Rossana Orlandi for nominating me. At every edition of the trade show, in what is an eagerly expected event on the design scene, M&O puts six young talents under the spotlight, all of whom have been sponsored by powerful mentors. This session pays tribute to Italy with the invaluable assistance of the Italian Trade Agency*. The 6 talents made in Italy were carefully selected by 6 renowned figures, who accepted to become their mentors: Andrea Branzi, Giulio Cappellini, Rosita Missoni, Piero Lissoni, Luca Nichetto and Rossana Orlandi. Simply by following their hearts these mentors have come up with an exciting palette of designers. For the occasion, I will present both some old and new works from my 'Equilibrium' series, which will be on show at the 'Talents à la Carte' booth, at the Italian institutional booth and at the Italian embassy in Paris. My new work 'Sections' will be on show at Operæ Independent Design Fair in the exhibition PHM | Piemonte Handmade. The project is the result of a collaboration with metalworking master craftsmen Berrone Livio & C. and will be presented by SEEDS London gallery. The tube is a simple element, but one of great versatility. Taking into consideration the tube’s many uses, Guglielmo Poletti’s most recent pursuit is to play around and alter its forms unexpectedly, to create a new functionality. Since his recent "thesis" project (2016) at Eindhoven's design academy, the designer has shown an almost obsessive fascination with the ideas of balance and tension. In a previous collection presented by SEEDS, his glass and metal acrobatics gave shape to the precarious balance of these materials by stabilizing them into functioning as a bench and a table: his new work for Operæ insists upon this theme with the same effectiveness. For the PHM | Piemonte Handmade project, the designer has collaborated with the metal masters of the historic company, Berrone di Volvera, to create an unprecedented object that revolutionizes a steel tube’s behaviour through a simple offset of its own sections. In addition to this, I will exhibit the re-edition of a previous work – 'Skin Floor Lounge'. Originally developed in 2014, the sitting element represents an attempt to push the image of a low chair towards maximum simplification. The piece will be part of the objects selected by SEEDS London for their space in the Galleries Section. My latest work from the 'Equilibrium' series will be on show at the PAD London fair with Galleria Rossana Orlandi. For the occasion, together with some previously developed works I will present two new pieces, consisting of a dining table and a desk lamp – Equilibrium Round Table and Table Light no. 1. I have been invited as a guest to the Bratislava Design Week 2017, along with other international fellow artists and designers. The main topic of Bratislava Design Week 2017 is LIMIT. It can be understood as significant factor, which affects conception of a design object and creating in general. Limit is also boundary and provocative force. For the occasion, I will take part in the main exhibition curated by the festival director L'ubica Hustà at the ZOYA Gallery, where I will be showing two prototypes – bench and console – from my latest series 'Equilibrium'. 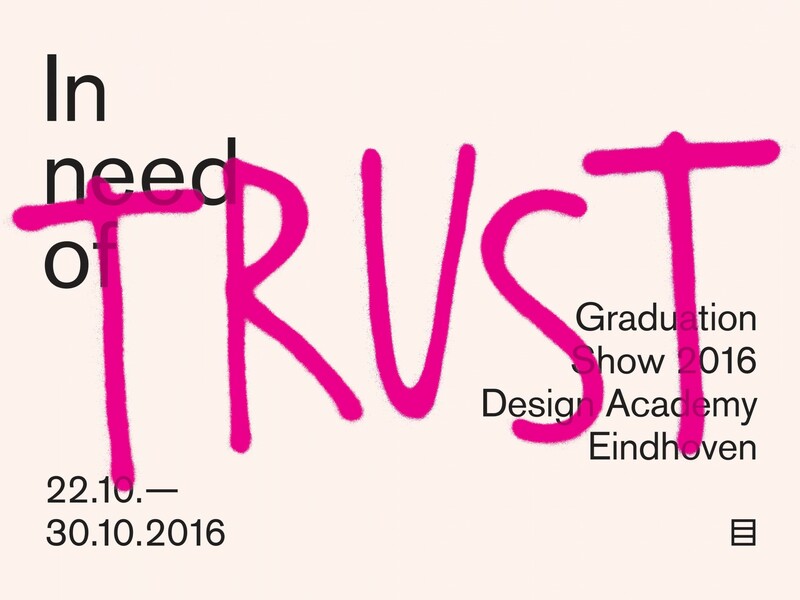 In addition to this, I will also participate to the BADW Design Lectures, where I will have the opportunity to share some personal points of view and reflections on the value of limit, which plays a very relevant role within my artistic practice. My work 'Equilibrium Stool' – part of the my latest collection 'Equilibrium' – has been acquired by the Design Museum Gent, and will enter the wonderful permanent collection of the museum. The piece will be on show at 'Maarten Van Severen & Co — A Wild Thing', an exhibition co-curated by design critic and researcher Hilde Bouchez in collaboration with Marij de Brabandere, member of the Maarten Van Severen Foundation. My latest work – the 'Equilibrium' collection – will be on show at Spazio Rossana Orlandi for the whole duration of the Milan Design Week 2017. Two pieces from my 'Equilibrium' series – bench and low table – will be part of the exhibition SUPPORTS / SURFACES* at SEEDS London, for the whole duration of the gallery's Season 4. For Season 4, the Design Store (•DS), part of SEE••DS ventures forwards from the back rooms and approaches the window space, accompanied by the coherent gesture of the display, it is propagated throughout the entire space. The •DS objects are chosen, as always, with curation that does not chase after the novel, but that, more than ever, looks for a quality to be shown again, under a new roof, inside new actions of display, in front of new gazes. In an international scene that is exploding with events and design fairs, moving so fast that pieces are likely to get lost in the shuffle, SEE••DS engages in thoughtful research to seek out distinguished pieces in recent years, then creating a special platform, a new time and space for them to be discovered and understood. Season 4 features works by François Dumas, Jochen Holz, Olivier Van Herpt, Daphna Laurens, Studio Furthermore, OSΔOOS, Oeuffice, Giovanni De Francesco, Laetitia de Allegeri + Matteo Fogale, David Derksen, Studio Berg, Apparatus, Odd Matter, Marlene Huissoud, Formafantasma, Sabine Marcelis, Duccio Maria Gambi, Guglielmo Poletti, Silo Studio, Kueng Caputo and Dan Yeffet – and is curated by Studio Vedèt. My graduation work ‘Equilibrium’ will be on show at the Design Academy Eindhoven as part of the Graduation Show 2016. Our 2016 graduates explore larger issues in their designs: peace, production, surveillance and gender. They courageously deal with war and peace, and open the debate on government surveillance and the right to privacy. They delve into gender and how constraints and a narrow way of thinking limit our potential. And they also look at what recently was – by analyzing production processes and posing challenges to big industry. They search for new methods and for material innovations, and they mix craft and technology to create new products that can be made on a more human scale. The work I produced for the MVSC01 workshop, led by Erwan Bouroullec, has been featured in this nice publication edited by The Maarten van Severen Foundation and KASK / School of Arts Ghent. 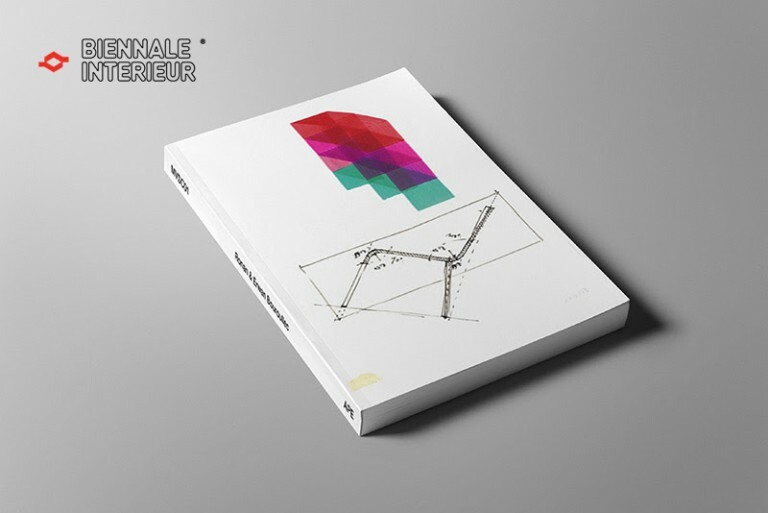 The book will be launched at the coming edition of the Biennale Interieur in Kortrijk, Belgium. It will be on show at the MVSC01 exhibition 'Into The Wild' – together with a small installation I made. I have been selected by the Design Academy Eindhoven among a group of international students that will take part in the first edition of the Maarten van Severen Chair, led by Erwan Bouroullec. The workshop is an initiative of The Maarten van Severen Foundation in collaboration with KASK / School of Arts Ghent.